These 100% polyester fabric blankets feature a heat-sealable, pigmented coating designed for year-round use. 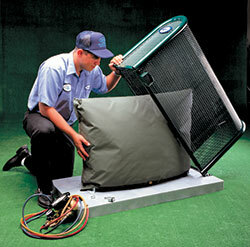 5-year UV resistance warranty when used inside the GuardShack enclosures listed above. All will accommodate a 2" BFP up to 7" wide.